Okay, yes this headline may sound like clickbait, but we mean it. New ways of working are popping up all over the world, and agile, scrum and start-up methods are challenging the status quo amongst even the most robust corporations. This shift is allowing for people from different departments, backgrounds and perspectives to collaborate more. Making space for better, more innovative work! Silos are breaking, networks are forming and co-creation between clients and users is booming with the purpose to stay. So why is facilitation now more crucial than ever and why are facilitators in such high demand at the moment? Let’s break it down. Have you ever worked in a team where everything runs smoothly — like a dream team? It feels great right? But then on the other hand you’ve probably also attended a work session where nothing seems to move forward, you’re making no progress and everyone’s banging their head against the wall. The art is in looking at the session in it’s entire context, taking in mind to what has been before and what will come after this gathering — to then craft the the perfect learning design for that specific session. With a bird-eye view, facilitators look at your problem, offer insights and set a timeframe accordingly. In doing so, the team doesn’t have to think about the process or the politics, we relieve them of that burden ;) This way all the focus is on coming up with the best and most creative solutions. Before starting any session, it’s vital to set aligned goals. Okay but, — you might think now — why get an external facilitator to do this? The thing is, everyone in life has their own agenda, worries and demands. Therefore having an internal person set aligned goals with the team and protect your journey towards them, has proven to be hard. Facilitators are unbiased and neutral and make sure that everyone on the team is heard and that the team’s shared desired outcome for the day is achieved. We’re like Switzerland, but more global. Silliness, otherwise known as play and positivity, has proven to be essential for the workflow, or any life’s-flow for that matter. Playing makes you happy which boosts motivation and drive. Without motivated coworkers, the energy level goes down and our brain starts to drain and away goes the focus. Nobody wants this. Therefore facilitators believe firmly in THE POWER OF PLAY. Not only does playing together make the bond stronger between people in a mere 5 minutes, also it is essential to let creativity and innovation thrive. Through play we practice the possibility of losing and open ourselves up to accept failure, and this realisation is very important in real life. It makes the individuals attending the work session feel more comfortable which allows everyone to unlock their true potential. You think you’re all prepared, you did the research, followed the google design-sprint, lean startup method or any other way of working- protocol, and are rocking it. But then something happens, a certain tool didn’t land the way you thought it would, they’re stuck or an unexpected important conversation throws off your schedule. Sticking to that one plan can now feel useless, and sadly sticking to that pre-chosen method, is often disturbing the process further. Facilitators, however, they’ve got baggage; the good kind. They bring along a massive bag filled with all sorts of tools, hacks and experience in how to lead productive and engaging sessions. When something unexpected happens they can easily adjust their time plan, and pull from this big bag whatever’s needed to keep you and your team on track. 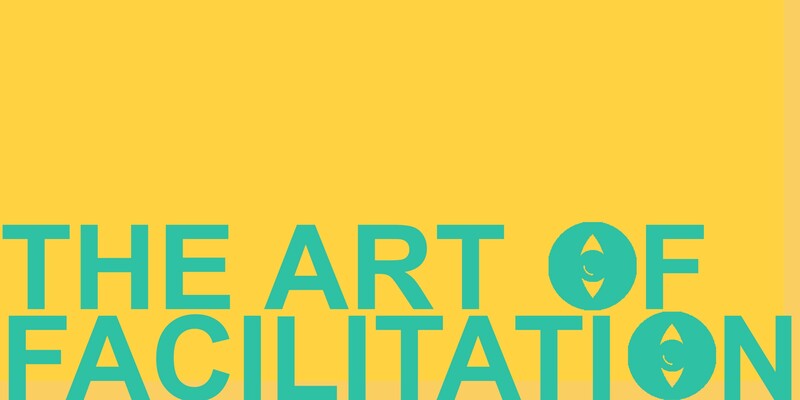 As you can see, there’s a lot to the art of facilitation, and for that exact reason, we’ve decided to bundle our powers together with The Next Web TQ and some of the best facilitator experts out there to organise the first 3-month facilitation course. Are you screaming YES! (internally is allowed if you’re in a silence-needed-zone) or do you first want to find out more? *A big up to our brilliant friend Jim Ralley for coining this phrase on a country walk together, in another inspiring chat around the power of play and Mischief Making. Your monthly dose of Mischief around creativity, play, collaboration and facilitation.